Runic tattoos are no doubt some of the coolest-looking symbols out there in the tattoo market due to their gorgeous appearance as well as their deeper meaning. Runes are, first and foremost, ancient alphabets that predate our modern alphabet by centuries. When worn on the body, rune-based tattoos are meant to express deep-seated beliefs that transcend the ordinary world. So, getting a runic tattoo, even a temporary one for that matter, can entail a deeper meaning than just simply ink or adhesive on the skin. 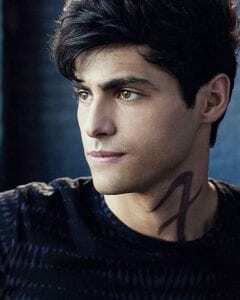 of Angel Raziel (which is a complex runic language) that grant Shadowhunters powers beyond Mundanes. According to the book, Mundanes are human beings that are neither Shadowhunters nor Downworlders. The runes are either burnt onto the Shadowhunters’ skin using stele, which is also a weapon for fighting demons, or applied to physical objects. Shadowhunters then use the powers granted to them to control and preside over demons and other supernatural creatures residing in the natural world. 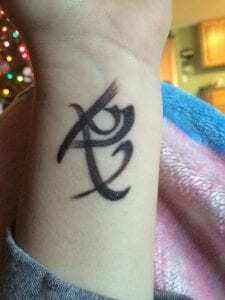 This goes to show how profound and meaningful Shadowhunter Rune Tattoos are and why you should get your own. If you want to have the same aesthetic appeal that tattoos have but without the permanence then a temporary tattoo set might be what you’re looking for! 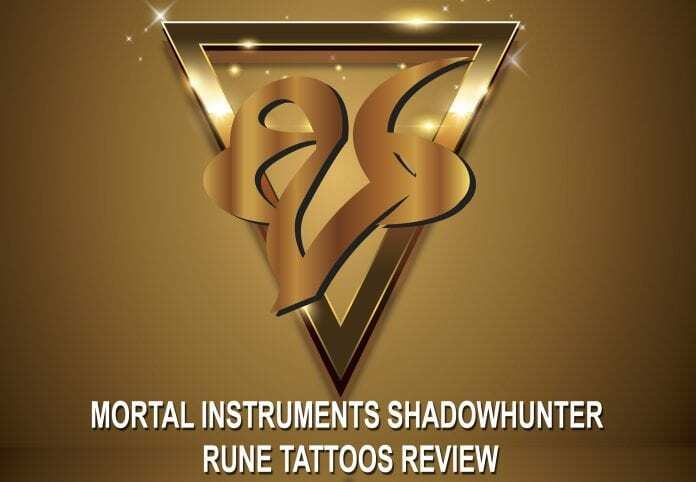 There are literally thousands of runic marks that are portrayed in the Shadowhunters film but in this City of Bones Tattoos Set only 8 are available. 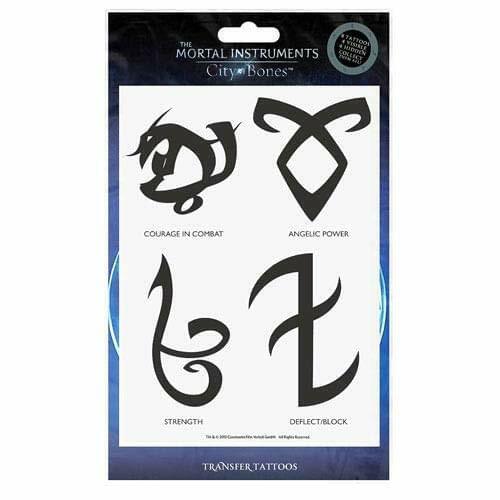 With this temporary tattoo set, you can also apply the powerful runic symbols on your skin and feel just like a real Shadowhunter. Within the assortment, you’ll find runes representing Angelic Power, Courage in Combat, Fortitude and Strength. Others include Combine/Friendship, Heal Painless and Deflect/Block. Peel away the protective plastic layer to uncover the adhesive while making sure it does not come into contact with any dirt or debris. Place the adhesive side on the target part of your body and using a sponge or wet cloth, apply even pressure on the tattoo’s paper backing. Always wash the target area with an alcohol-based wipe before applying the tattoo. Consider placing the tattoo on a hair-free skin area with little or no crease or stretch. For a longer lasting tattoo, consider placing on an area that doesn’t rub against straps, clothing or even joints. Don’t apply if your skin is sensitive or allergic to adhesives. The City of Bones 8 Transfer Tattoos are waterproof hence they can last several for several days if not weeks. Even when exposed to a hot shower and/or soap, they’ll still remain undamaged. Saturate the cotton ball with alcohol cleanser, hand sanitizer or baby oil and leave for about 10 to 20 seconds. After that, start to rub on the tattoo gently using the cotton ball. It should start coming off right away. Rinse the skin area clean using water and/or soap. 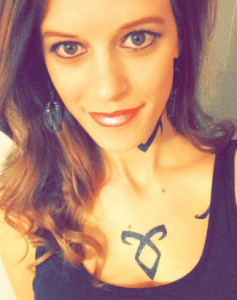 Get Your Shadowhunters Rune Tattoo Set Today! If you’re a fan of The Mortal Instruments series like we are, we recommend you check out this fantastic shadowhunters rune tattoo set on Amazon. They are incredibly cheap and allow you to look just like the characters from the series!